The holiday season is upon us, and at this point, you’re probably freaking out about what to get for those special people on your wishlist (aka, you). Buying gifts is stressful, but oh so satisfying. We decided to put together our own Christmas wish lists to help you out. This isn’t a hint for presents, but maybe you can draw inspiration from us to find the perfect gift! On my wishlist this year are brands that I’ve been privy to all year long, but haven’t had the chance to try. Since I’ve pretty much spoiled myself since my birthday month (October) and I'm on a no-buy for at least 3 months, I’d be really excited to be gifted any of the following items. Herbivore has been around for a few years but I’ve only recently noticed the brand making its way to instagram feeds and beauty blogs since its addition to Sephora shelves. I love their philosophy of using only natural ingredients and how their products are vegan and cruelty-free. Herbivore’s packaging is so sleek and minimal, it calls me. This skin clarifying duo is just so gorgeous, and after talking to some fellow skinthusiasts, I know it also packs some serious results. The set comes with a mini of the Blue Tansy AHA exfoliating mask as well as the Lapis Facial Oil. On their own, these products work to clarify, clear blemishes, and balance skin with use of natural ingredients. Together, I imagine the effect is increased. I’ve heard this duo works amazingly for cystic acne so there’s no doubt I need this in my life. Unlike Herbivore, Kiehl’s has been around for a long, long time - since 1851, apparently. But just like Herbivore, I’ve never tried a Kiehl’s product. I’ve heard their Ultra Facial Cleanser is low pH and holy grail; I’ve been told their Creme de Corps body moisturizer is wonderful as well (shoutout to Emmie and Stephanie). I’m obsessed with Disney so this Kiehl’s x Disney set is completely up my alley. 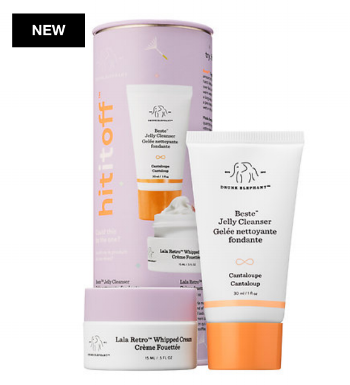 This set also comes with the Ultimate Strength Hand Salve, Ultra Facial Cream, Ultra Facial Overnight Hydration Masque, and Rare Earth Deep Pore Cleansing Masque. All this for only $33! Another very hyped brand, Drunk Elephant has a philosophy of using clean ingredients without what they refer to as the “suspicious 6” (view their philosophy here). I’ve been curious about Drunk Elephant products, and recently picked up two of their minis as part of my Sephora Beauty Insider haul. I know the price point can be pretty outrageous for their full-sized products, but they are another brand that intrigues me, and I’m willing to see if they live up to the hype. Since I have yet to crack open my mini Virgin Marula Facial Oil and B-Hydra Intensive Hydration Gel, I figured why not add their Beste Jelly Cleanser and Lala Retro Cream Moisturizer to the mix to round out my routine. I’ve been intrigued by Blithe’s Pressed Serums since the day I found out about them. For a company to just create a new product category - that speaks volumes about their innovation and zeal. They market the pressed serums as a hybrid of a serum and a moisturizer; packed with multi-tasking ingredients to nourish and hydrate skin simultaneously. Though I’d like to try all of their pressed serums (they have 4 at the moment), the Crystal Iceplant Pressed Serum sounds the most ideal for my skin type and the climate I live in. The crystal iceplant in this serum is extracted from the Sahara and provides lightweight moisture that hydrates and protects skin from the environment. It gets cold in San Diego, but any temps below 50 last just a few hours through the night until the early morning. I figure I could get the most use out of this serum because I can use it year-round, it would be nice in the summertime as well as winter due to its cooling sensation. OK, I’m throwing this in here just for the fun of it. I would LOVE to receive some sort of skin analyzer this year - especially this sleek and portable one from Wayskin. 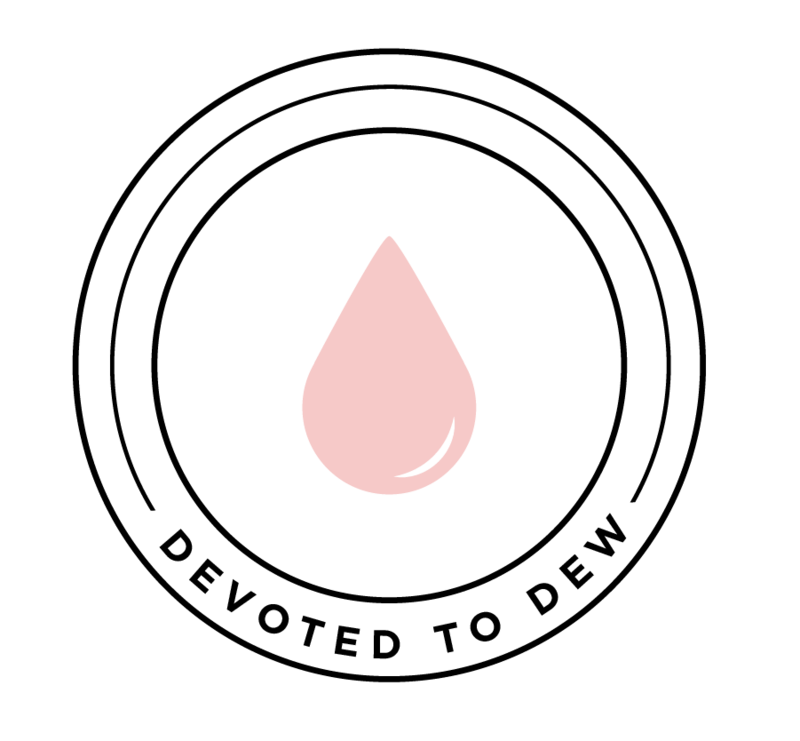 I can be very OCD when it comes to checking things so I think this would be a fun, convenient way to measure my skin’s moisture levels. This analyzer has bluetooth capabilities and can send the data to an app for iPhone or Android devices - how cool is that? Koreans think of everything! But honestly, I’d be happy with any skin analyzer, whether it’s donut-shaped or not. Lastly, for those of you that know me or follow us on Instagram, you may have noticed that I'm desperate to try Huxley products. Their packaging looks so classy and luxe with frosted glass bottles, I can only imagine the actual product feeling just as luxurious. All Huxley products contain cactus oil for extreme hydration. For the cold and dry Winter season, Huxley seems like the perfect brand to provide lasting moisture and protection from the cold-weather elements. This Oil Essence and Anti-Gravity Cream duo would be ideal for the next few months as my oily/combination skin transforms to a literal Sahara desert. Huxley products are definitely on the pricier side, so I can’t really justify buying these products for myself unless I find an amazing deal (or get them as a gift). Unlike Jane, I’ve actually pretty “good” - I’ve only been buying products I absolutely need. Although, I will admit I’m pretty liberal about the products I “absolutely need”. This holiday season, I have my eye on a mix of old brands that I’ve used faithfully, brands I’ve never tried, and makeup. Here we go! The packaging of the SATURDAY SKIN brand is what drew my attention when I was browsing Sephora not too long ago. I also noticed that it was popping up quite a bit on my Instagram feed, so I decided to look into it a little more. According to Sephora, the key to this brand is the uniquely formulated peptide CHA 7 that promotes skin cell regeneration, natural collagen production and and elasticity. It contains natural ingredients which is a huge plus to me. I’ve been on the market for a new eye cream, and this one seems interesting to me. Also from this brand, this moisturizer is supposed to be ideal for all skin types. In addition to the patented peptide formula, this moisturizer contains avocado which is great to protect your skin against the environment and peach extract for maximum hydration. Jane had the opportunity to try this mask and she absolutely loved it. Glow Recipe's Watermelon Sleeping Mask was created with natural ingredients to deliver maximum hydration, and give you amazing looking skin. I've been eyeing this for months, but the $45.00 price tag has been holding me back. I’m a sucker for makeup bags, and this makeup is so cute I want to have it. The pin on this bag was designed by the lovely Charlotte Cho. The products in this bag are neutral enough for all skin types. I would love to try the lipstick and contour stick (for my brows!). If you’ve been following us, you know that I LOVE eyeshadow. I’m all about getting a whole bunch of colors and blending them, and hoping for the best. I’m a huge Colourpop fan because they create quality products at awesome prices. I’ve been eyeing this palette for a while, I think the colors would be awesome for my fellow brown girls. I have 4 different pressed powder palettes from Colourpop, and I vouch for the quality, the pigmentation and how easily you can blend these. I have bought Colourpop brushes before, and I really like their quality. The brushes blend and apply your makeup super well, are easy to clean and feel super nice against your skin. This set is a really good value, individually their brushes range from $6-7. We hope our wishlists inspire your holiday shopping! We would love to hear what products you have your eyes on this holiday season! Devoted to Dew claims no credit for any images posted on this blogpost unless otherwise noted. Images on this blog are copyright to its respectful owners. If there is an image appearing on this post that belongs to you and do not wish for it appear on this site, please e-mail us and it will be promptly removed. No copyright infringement is intended. Dec 21 Devoted to Dew 500 Follower Giveaway!